DermaLash Review | Does DermaLash Work to Grow Eyelashes? For years, DermaQuest Skin Therapy Inc. has been earning a respectable reputation for their high quality and ground-breaking cosmetics. They have introduced more than 700 different cosmetic products to improve ladies' appearances around the world. DermaQuest has released DermaLash, made to shield a woman's eyelashes from the wear and tear of everyday life. If a woman applies DermaLash daily for three to six weeks, her eyelashes will be as big and as bold as ever. DermaLash has been on the market for several years and has earned a reputation of high quality. Consumers have voiced their positive feedback on DermaLash and its price of under $100. DermaLash can also be purchased from a variety of retail salons, spas and over the internet, unlike much of its competition that can only be bought online. DermaLash has even received positive reviews on different TV shows and in women's magazines. DermaLash has a partial list of ingredients on their website: wheat, soy protein, extracts, biotin and various forms of glycols. The Peptide complex and anageline found in DermaLash have been proven to cause growth in hair follicles. As a result, eyelashes get more oxygen. A woman's lashed are then refreshed and more firm. Similarly, Apigenin effects hair growth by motivating blood flow. A majority of DermaLash's ingredients are plant extracts, such as Tussilago farfara (coltsfoot), achillea millefolium extract (yarrow) and cinchona succirubra bark extract. First of all, DermaLash does not list all of their ingredients on either the bottle or their website. That's weird. Also, DermaLash lists that it's made with "Eyelashes Growth Promoter complex.” What is that? Do they have something to hide? No consumer appreciates not knowing what they're buying and putting on their faces. 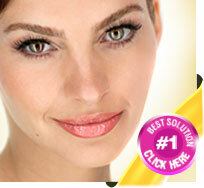 It is also difficult to locate clinical research that has been performed on DermaLash. How do consumers know that it's 100% safe? While everything looks good, there have not been enough clinical studies performed on DermaLash to make any final claims on the product's safety. The only data that consumers have at their fingertips to go on has been supplied by DermaLash's manufacturer, DermaQuest.